Whether you are a once-a-week exerciser or a weekend warrior, treating sports injuries naturally can get you back at it quickly and safely. Not only can herbs, supplements and homeopathics reduce swelling, alleviate pain and promote healing; they do so without the side effects that often accompany allopathic treatments. Whereas conventional approaches aim to suppress symptoms with painkillers, anti-inflammatory drugs and muscle relaxants, natural remedies stimulate the body to heal itself. Besides getting proper nutrition, plenty of water and lots of sleep, one of the best ways to prevent and treat injuries is by using herbs and supplements. Certain nutrients affect the integrity of bones, muscles and tendons. For example, most people have heard that glucosamine and MSM will help regenerate tissue and cartilage, but few realize that common vitamin C is also a key player in the formation of the collagen that forms tendons and ligaments. Antioxidants such as vitamins C and E also may help prevent sports injuries by reducing the muscle damage caused by free radicals. Other nutrients work on muscles and tendons, too. For instance, 250 mg of magnesium daily is one of the best ways to ward off muscle cramps; and proteolytic enzyme supplements like bromelain and papain taken between meals are great for speeding up the healing of strains and sprains. Similarly, plants contain powerful healing compounds that can treat various sports injuries. Calendula ointment is a must for soothing scrapes and abrasions; tea tree oil works wonders on athlete’s foot, and arnica gel alleviates sore muscles and bruises. Unlike herbal preparations, which use an entire plant or plant compound to elicit pharmacological effects, homeopathic remedies use micro amounts of plant, animal or mineral substances to prompt specific bodily reactions. The idea behind homeopathy is simple: A substance that produces symptoms in a healthy person can cure those same symptoms in a sick or injured person if taken in miniscule doses. For instance, sore muscles caused by lactic acid buildup can be treated using the homeopathic remedy sarcolactic acid. Without a doubt, Arnica montana is the single best-selling homeopathic remedy, and the most versatile for treating sports injuries. You can use it to treat everything from a bruise to a break because it eases inflammation, pain and bruising. To reap the best results, you can take internal arnica immediately after sustaining an injury. Five pellets of the 12C or 30C potency is standard, and depending on the severity of the injury, this dose should be repeated every 15 or 30 minutes for four hours. Arnica can also be used topically in ointment or gel form. Massage the ointment into sore muscles and use the gel to heal bruises, but never use arnica on an open wound. For cuts, scrapes and abrasions, try using a soothing calendula gel or ointment instead. Homeopathic remedies may be great for treating minor wounds, but what about more serious sports injuries? Practitioners suggest you can really speed up the healing of broken bones or fractures by taking Calcarea phosphorica and Symphytum officinale. Five pellets of each in a 12C concentration taken in the morning and evening will lessen pain and greatly encourage bone regeneration. Joints can benefit from homeopathics as well. Two remedies, Rhus toxicodendron and Ruta graveolens have long been used to help mend injured and stiff tendons and ligaments. 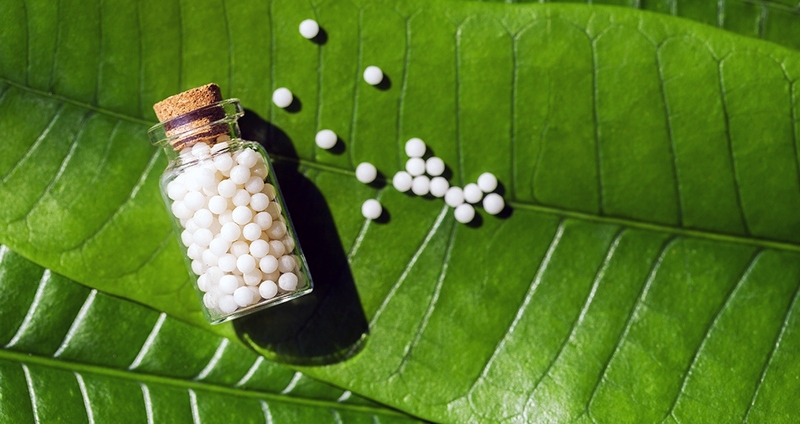 Unlike conventional treatments that simply mask symptoms, homeopathic remedies encourage the body’s own healing abilities, drastically shortening recovery time.